The Miami Dade College 2017-18 Season of the Arts is filled with stellar performances, world-class events and a variety of thought-provoking presentations in a range of artistic disciplines. Many of the events are free and open to the public. Beginning with the grand literary sweep of the Miami Book Fair and the cinematic delights of the Miami Film Festival, and continuing through with a roster of classical music, jazz, dance, visual arts exhibitions and more, MDC continues to affirm its role as a major cultural engine. The Miami Book Fair, a flagship cultural program of Miami Dade College (MDC), will celebrate its 34th edition this year on Nov. 12 – 19, 2017, at the Wolfson Campus in downtown Miami. Miami Book Fair will feature more than 500 celebrated authors from the U.S. and around the world reading from new works and participating in discussions on myriad topics. Recognized as one of the most inclusive events in South Florida, and the best book festival in the country, the Fair convenes more than 150,000 people over the course of eight days. This year’s confirmed authors and poets include former Vice President Joe Biden, Dan Rather, Laurence O’Donnell, Patti Smith, Isabelle Alle de, Bill McKibben, Michael Eric Dyson, Lisa See, Armisted Maupin, Edwidge Danticat, Richard Blanco, Gene Yang, Min Jin Lee, Robert Hass, Frank Bidart, Jorie Graham, Paul Muldoon, and Victor Hernandez Cruz, and Pete Souza, President Barack Obama’s official photographer. The Miami Film Festival, now in its 35th year, is dedicated to bridging cultural understanding through thought-provoking programming of world cinema. See the latest and greatest films from Cuba, Spain, Israel, Argentina, Colombia, Australia, Brazil, Iran, UK, China, USA and more. Expect Oscar nominees, made-in-Miami premieres & documentaries galore. The complete program will be announced February 2018. Celebrating more than 25 years of artistic excellence, MDC Live Arts received a grant from the Doris Duke Foundation for Islamic Art for Ojalá/Inshallah: Wishes from the Muslim World, a season-long initiative designed to challenge widespread assumptions concerning contemporary Muslim identity. Its 2017-2018 season will be dedicated to the presentation of Muslim and MENA artists through performances, residencies, campus-based conversations, and community workshops. The programs will span music, dance, theater, spoken word and multimedia, and will take place all around Miami. As always, discounted tickets will be available for students and staff and this year, tickets will be free for MDC students with valid ID. Here are just two of the amazing artists to perform. Visit the Live Arts website for a look at the full season. Saturday, Nov. 4, 2017, at 8 p.m. Faced with persecution from extremists in Pakistan in the 1970s, a devoted group of Lahori musicians convened secretly to rehearse and record. Fueled by a love of American jazz, the ensemble merged Eastern and Western music, crafting a sound that transcends war and oppression. Their journey, as told in a documentary by the same name, has led them to international stages, including Jazz at Lincoln Center. They perform cross-cultural recreations of classics by Duke Ellington, The Beatles, Dave Brubeck and Henry Mancini, as well as traditional Pakistani folk songs. 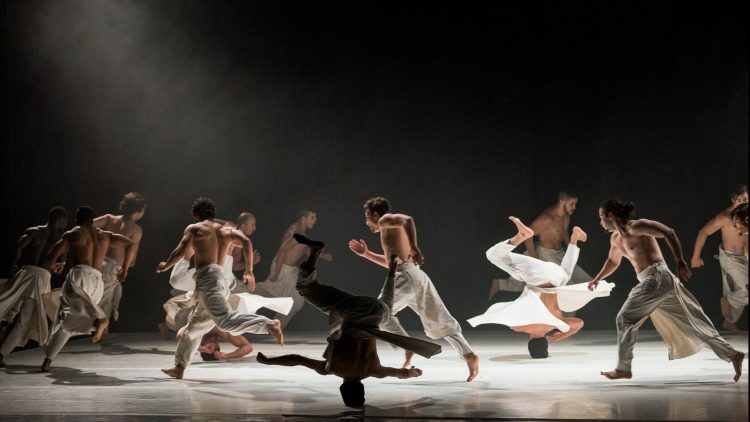 Saturday, Feb. 10, 2018, at 8 p.m.
Acclaimed choreographer Hervé Koubi makes his Miami debut with a highly physical, stunningly fluid work for 12 French-Algerian and West African male dancers that combines capoeira, martial arts, urban, and contemporary dance. Dressed in white flowing costumes, they exude grace and masculinity amid a backdrop of imagery evocative of Orientalist paintings and Islamic architecture, and a musical score that combines Sufi Music, Bach and Nubian composer Hamza El Din. MDC’s Jazz at Wolfson Presents series has a 19-year tradition of bringing renowned musicians to educate jazz students and enliven the downtown lunch scene with live performances monthly from September through April at the Wolfson Campus in downtown Miami. This year’s season kicks off with some of South Florida’s finest musicians: the MDC Jazz Faculty Quintet. Tuesday, Nov. 7, 5:40 p.m.
Tuesday, Mar. 13, 5:40 p.m.
MDC’s Museum of Art + Design (MOA+D) will present various exhibits and programs that explore thematic and cultural frontiers, while also showcasing local artists and distinguished alumni. With a mission to encourage the appreciation and understanding of visual aesthetics through direct engagement with original works of art and design, and serve as a catalyst for the cultivation of creative dialog and diverse perspectives through the arts, the Museum hosts a multitude of programs to engage the public. Unless noted, MDC art exhibitions are free and open to the public. The first of two design exhibitions scheduled at the MDC Museum of Art and Design after its April 2018 grand reopening, By the People: Designing a Better America will explore the challenges faced by urban, suburban, and rural communities in the U.S. and its bordering countries. Based on more than two years of field research in shrinking post-industrial cities, sprawling metro regions, struggling rural towns, border regions, areas impacted by natural and man-made disaster, and places of persistent poverty, this exhibition presents collaborative designs for more equitable, inclusive, and sustainable communities. The exhibition is organized by the Cooper Hewitt, Smithsonian American Design Museum and curated by Cynthia E. Smith. It features 60 design projects from every region across the U.S. and highlights design solutions that expand access to education, food, health care, and affordable housing; increase social and economic inclusion; offer improved alternative transportation options; and provide a balanced approach to land use between the built and natural environment. By the People aims to empower visitors to see themselves as designers—not just of objects, but also of ideas, strategies, and solutions that improve their daily lives. The exhibition will showcase the innovative and impactful actions generated through design, and inspire creative problem-solving at local, regional, national, and even international levels. The museum’s Citizen Design Lab gives visitors firsthand experiences with the activities designers use to solve problems and develop new ideas. It invites visitors to engage, empathize, and help envision a better America. Inspired by the Gray Area project, a Philadelphia-based community engagement initiative featured in the exhibition By the People: Designing a Better America, the Citizen Design Lab encourages civic dialogue at a local level. Through a series of questions and choices, visitors identify issues that affect them personally and use design-thinking tactics to creatively brainstorm possible interventions. Interactive features designed for the installation allow visitors to explore how their concerns align with those of other visitors to the museum. The Lab encourages the public to participate in a collective discussion about potentially divisive and challenging issues facing communities. The Citizen Design Lab is a hands-on workshop where thousands of design ideas are being created, documented, and archived—all representing citizen answers to one of twelve questions that articulate key challenges of our collective cultural moment. With recent political events, our broader ambition for citizen participation at a substantive level feels particularly relevant. We like the notion of moving toward the pragmatic realities of problem solving through grounded and collective intelligence. MDC will celebrate the grand opening of the Kislak Center Freedom Tower, including a permanent 2,600-square-foot exhibition space in the main public area of the Freedom Tower. The Kislak Center is made possible by a generous donation to the College of rare books, maps, manuscripts, pre-Columbian artifacts, and other historic materials by the Jay I. Kislak Foundation. Assembled over the course of many decades, the collection includes some of the most important original source materials related to the history of the early Americas. The inaugural exhibition at the Kislak Gallery of Exploration and Discovery, Culture and Change in the Early Americas, will present a panoramic view of the history and cultures of the Americas, dating from before European contact up to the nineteenth century. The exhibition includes extraordinary objects from the Kislak collection that offer new perspectives on the events and personalities that helped shape the modern world. Through the lens of history, we will glimpse the process of cultural change and adaptation that continues to the present day. Cuban artist Serrano’s latest exhibition is an impressive tribute to all those who in one way or another have fought for democracy, freedom and human rights, including Cuba’s Ladies in White and the Tugboat March 13, among other tragic events where lives were lost while crossing the sea. YOU ARE FREE* is part of an ongoing project called “Questions and Statements”, a series of interventions in public spaces using text-based artwork to address issues related to our perception of reality, which in this case intends to tackle the ambiguity of our notion of freedom. Opening Reception: Nov. 2 at 1 p.m. This exhibition of paintings by the Florida artist Luis Nuñez features the diversity of landscapes that makes the southern end of the Florida peninsula such a unique place in the world. Opening Reception: Jan. 24, 2018, at 1 p.m.
Home Away From Home features letterpress prints by Miami artist and educator Tom Virgin. For over a decade, he has called various National Parks and artists’ residencies around the United States his home. From the mountains in the east and west, to the Midwest where he grew up, these locations are reflected in the work displayed in this exhibition. In these highly anticipated annual exhibitions, MDC Campuses showcase the best works of Miami Dade College visual arts students in a variety of media, including painting, drawing, sculpture and design. Eduardo Sanabria, a.k.a. EDO, is a graphic artist and cartoonist from Caracas, Venezuela. He is the recipient of the Gold Pen Prize for best cartoonist in the First Graphic Humor Exhibition of the Ibero-American Arts Fair in Caracas. His work has appeared in major U.S. newspapers and been exhibited in Caracas, Milan, Seoul, shanghai, Chicago, New York, and Miami. Born in Havana, Cuba, Baruj Salinas is a Jewish Cuban artist. His paintings can be found in important collections all over the world, such as the Joan Miro Foundation in Barcelona, the National Museum of Catalonia, National Institute of Fine Arts in Mexico, Beit Uri Museum in Israel, the Art Institute of Chicago, and Phoenix Museum of Art, among others. Opening Reception: Nov. 9, 6 – 8 p.m. The 12th Annual Quest for Peace Student Art Competition and Exhibition is sponsored by the Rotary Club of Miami Dadeland- Pinecrest in honor of Robert Horowitz, a philosopher and an artist. The goal is to spread awareness and promote peace. Closing Awards Ceremony and Reception: Friday, Sept. 29, 4 – 6 p.m. The Second Annual Juried Invitational exhibition of artwork produced by Miami-Dade County Advanced Placement Art Students. This highly anticipated exhibition shows off the best works of North Campus visual arts students and includes all media: sculpture, painting, drawing and design. Opening reception with artist: Thursday, Sept. 28, at 11:30 a.m. Presented in collaboration with Contemporary Art Projects USA and curated by Mariavelia Savino, consists of three unique works by Henrik Welle based on an underwater photograph of a Coney Fish Species taken in Turks & Caicos, with a Cannon 50D, 60mm lens at 25 Feet depth. The fish with its intense gaze is a central hero in diverse situations, witty questions, ironies and metaphors about human behavior. Closer to our conscience, we see it acting and thinking like a human that could grow to be a part of ourselves. These underwater sea images will be complemented by several photographs of marine corals and plants by Welle. The other main wall of the gallery will be dedicated to present four black and white staged photographs taken inside a pool. Opening reception: Thursday, Jan. 25, at 11:30 a.m. Inspired by Rupp’s interest for celestial spheres, nebulas, galaxies, earth and sky landscapes, and the beginning of life represented by atoms, From Earth to Infinity translates her creativity of science and nature depictions or imagery to unique artworks, some as illuminated sculptures or as Phermutations (photography permutations) made through a computer program. This exhibition is presented in collaboration with Contemporary Art Projects USA and curator Mariavelia Savino. Annual performance celebrating Hispanic Heritage Month. “Lleva el ritmo en tu Corazón: Carry the Rhythm in Your Heart” is an energetic and vibrant dance experience that explores the sights, sounds, rhythms, movement, and life of Hispanic culture. Dance performances, demonstrations, master classes, and lectures on campus throughout the day and evening. Saturday, Oct. 28, at 8 p.m.
Spooky music performed by the MDC Wind Symphony and MDC Orchestra. Sunday, Oct. 29, at 4 p.m.
“Songs of Joyful Remembrance” – A diverse musical look at traditions of all saint days, followed by food tasting event from local restaurants. Saturday, Dec. 9, at 4 p.m.
An inspiring event to recognize the achievements of exceptional high school musicians. Participants will include students from Miami Killian Sr. High, Braddock Sr. High, South Dade Sr. High, Ferguson Sr. High, Coral Reef Sr. High, Sunset Sr. High, Coral Park Senior High, Ronald Reagan Sr. High, Southwest Sr. High, Varela Sr. High. The concert will also feature the MDC Honor Wind Symphony, MDC Honor String Orchestra, MDC Honor Concert Band, and internationally acclaimed touring ensemble 7/4 Venezuela. The Civic Chorale of Greater Miami, led by MDC’s Dr. Kenneth Boos, invites the community to sing in a performance of G. F. Handel’s The Messiah. Open rehearsal for community and guest Soloists and guest organists will perform. Complimentary Refreshments served and a Winter Holiday Sing-Along following the concert. For more information, visit www.civicchorale.info. Join MDC faculty, students and esteemed guest artists as they share their creative works with the community in the areas of Music, Theatre, Dance, Poetry and Visual Arts. Friday, April 20, 9 a.m. – 3 p.m. Piano competition/performances showcasing talented student pianists in the community. Wednesday, Nov. 15, 12:30 p.m. Under the direction of Dr. Casey Maltese, music students from the Arts and Philosophy Department will present a performance featuring works by various classical composers. Wednesday, Nov. 16, 2017, 12:30 p.m. The Arts and Philosophy Department presents the Falcon Brass Ensemble performing music spanning four musical eras; the Baroque period though the 20th century. Members of the Falcon Brass Ensemble will also perform solo selections. Saturday, Feb. 24, 2018, 1 – 7 p.m. The Gospel Explosion will feature an afternoon of electrifying and inspiring sounds of Southern gospel, gospel hip hop, and praise music. The event will conclude with a delicious soul food tasting. Thursday, Mar. 15, at 7:30 p.m.
An orchestral tribute performed by the Miami Dade College Film Scoring Orchestra honoring classical music’s greatest composers. Thursday, April 12, at 7:30 p.m. The Chamber Singers, Musical Theatre ensemble and the North Star Pop and Jazz ensemble will present classic choral pieces, jazz standards and popular Broadway favorites. The evening concert will feature a few selections for small jazz ensemble followed by several big band arrangements. Summary: Claire has a rare form of amnesia that erases her memory whenever sleeps. It’s one harrowing and hilarious turn after another on this roller coaster ride through the day of an amnesiac trying to decipher her fractured life. This poignant and brutal new comedy traces one woman’s attempt to regain her memory while surrounded by a world of alarmingly bizarre characters. Contains adult themes and content. Thursday, Oct. 19 at 8 p.m.
Friday, Oct. 20 at 8 p.m.
Saturday, Oct. 21 at 8 p.m.
Thursday, Oct. 26 at 8 p.m.
Saturday, Oct. 28 at 8 p.m.